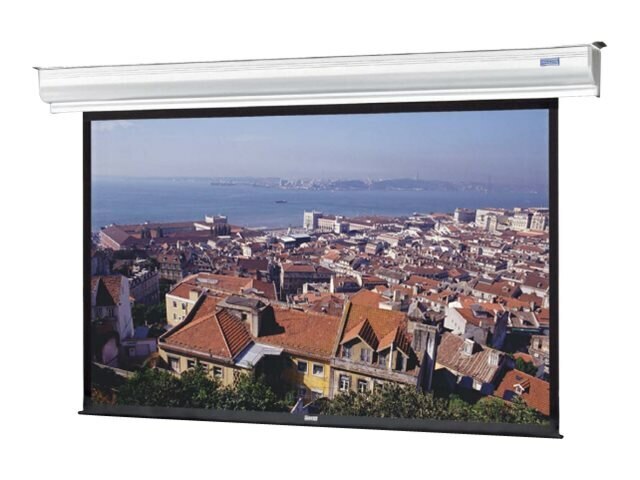 Da-Lite Contour Electrol Projection Screen, HC Matte White, 16:10, 109"
With its stylish curved aluminum extruded case, the Contour Electrol is a beautiful addition to any installation. An optional choice of seven veneer finishes is also available for the front cover of the screen case for a warm, elegant look. Screen surface retracts completely into case for a clean, modern appearance when screen is not in use.